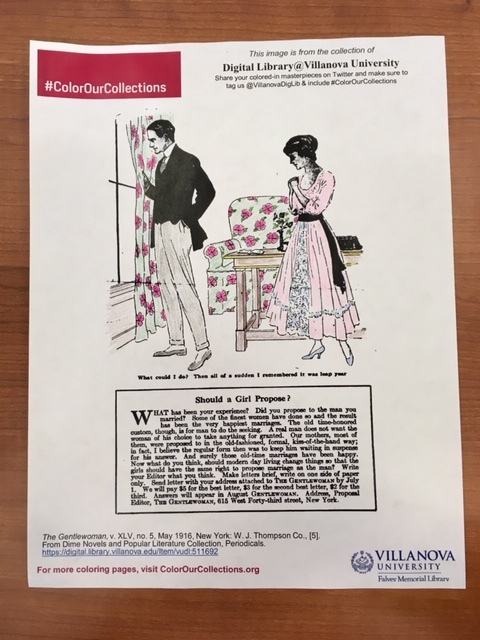 Last week was the 2019 round of #ColorOurCollections (hosted by the New York Academy of Medicine Library), when cultural heritage institutions make available coloring pages of their materials. The official #ColorOurCollections week may be over, but of course you can still color whenever the mood strikes you! You’ll find all our coloring books in the Digital Library collection Paper Crafts. 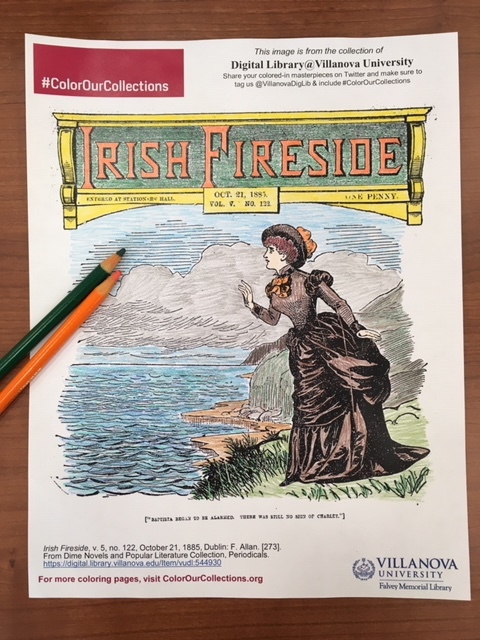 “Irish Fireside” colored by Laura Bang (Distinctive Collections Librarian/Archivist). 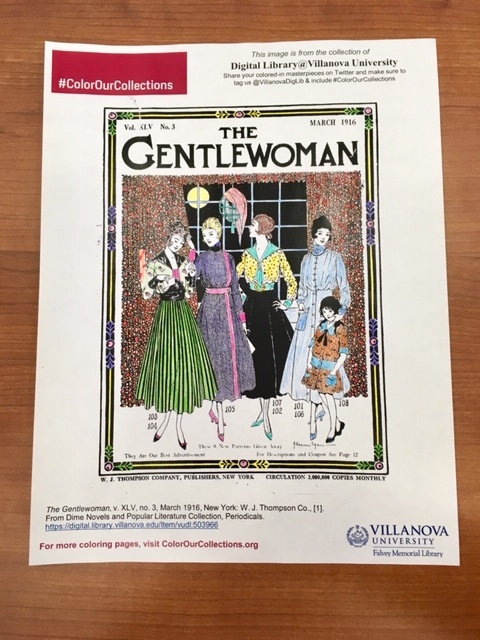 “The Gentlewoman (May 1916)” colored by Beaudry Allen (Preservation & Digital Archivist). 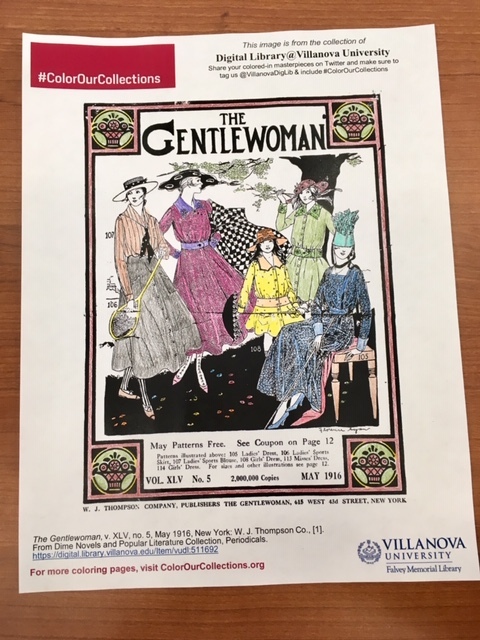 “The Gentlewoman (March 1916)” colored by Rebecca Oviedo (Distinctive Collections Coordinator). “Should a Girl Propose?” colored by Rebecca Oviedo (Distinctive Collections Coordinator). 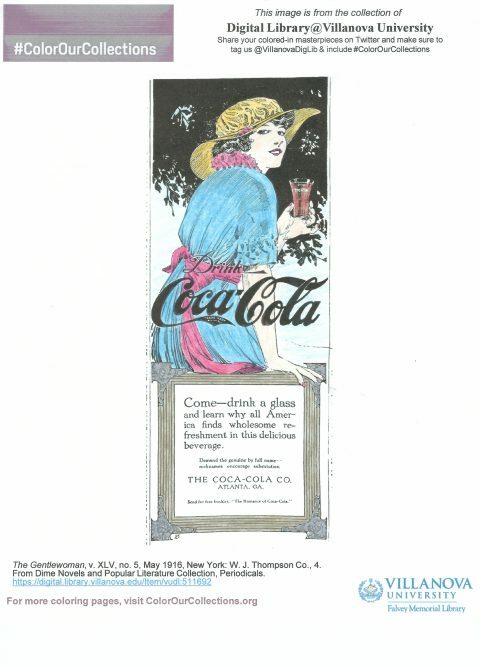 “Coca-Cola ad” colored by Liz Alix (Falvey friend). 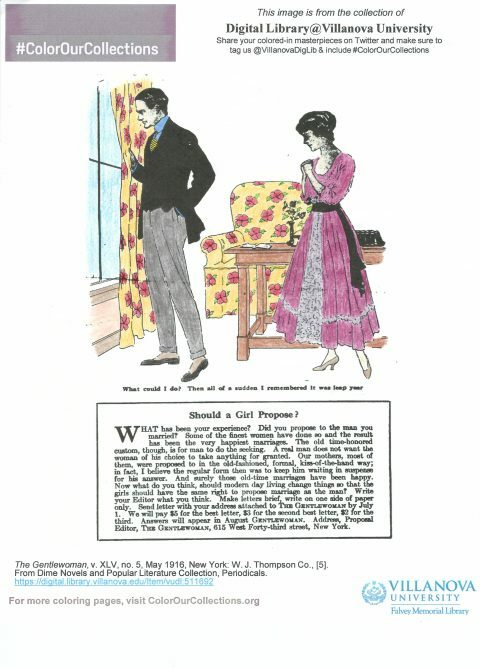 “Should a Girl Propose?” colored by Liz Alix (Falvey friend).